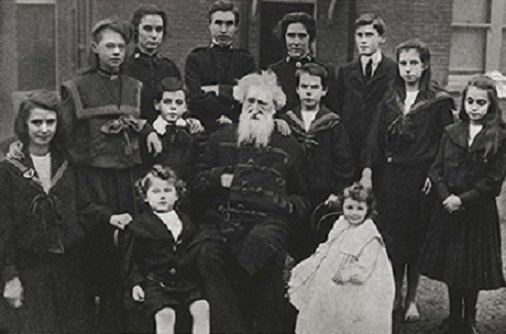 William Booth was the second son of the five children of Samuel Booth and his second wife Mary Moss. 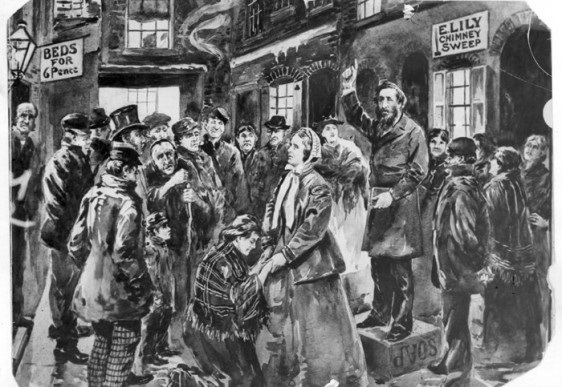 During William’s childhood, the family plunged into poverty which forced William Booth to take an apprenticeship at a pawnbroker at the age of 13 in 1842. In the same year, his father died on 23 September. After two years of apprenticeship Booth was converted to Methodism. After which he read extensively and prepared himself in writing and in a speech to become a local Methodist preacher. With his friend Will Sansom, Booth started to preach poor and the sinners of Nottingham in 1840s. 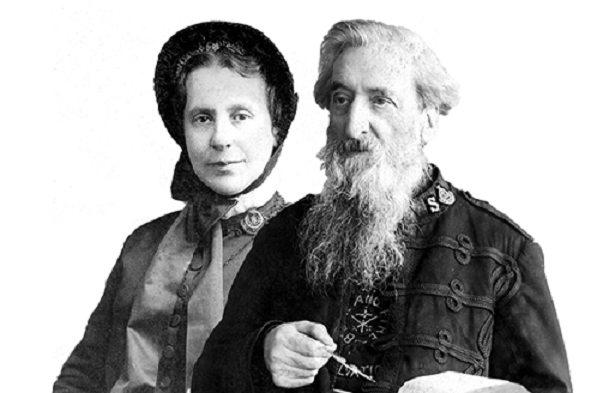 What Organisation was founded by William and Catherine Booth in 1865? Who founded The Christian Mission or The Salvation Army in 1865? Who founded the Salvation Army in 1878? Who is the founder of the Salvation Army church? In 1848 when his apprenticeship ended and became unemployed, he spent almost a year looking for work but in vain. In 1849, he unwillingly left his family and moved to London. Here again, he found work with a pawnbroker. With many ups and downs Booth continued lay preaching in London, however, he got frustrated with the small amount of lay preaching work and he resigned. He started open-air evangelizing. In 1851, Booth joined Methodist Reform Church. On his 23rd birthday on April 10, 1852, Booth left pawnbroking permanently and became a full-time preacher. William was inspired by the revivalist American James Caughey who frequently visiting England and preached at the same church where Booth was also a member. Through his contacts of David Thomas at Stockwell and John Campbell as well as James William Massie, in November 1853, Booth was invited to become the Reformers’ minister at Spalding in Lincolnshire. Just over a month after Booth started preaching in Methodist Reform Church, Booth formally engaged to Catherine Mumford. On 16 June 1855 in London, Booth married Catherine at Stockwell Green Congregational Church. The couple was blessed by eight children. William consolidated leadership of the Salvation Army within his family. Ballington Booth-Established the Salvation Army in the United States with his wife Maud Booth. However, after some disagreements with Bramwell, the couple started a similar campaign with the name of Volunteers of America. In 1865, Booth along with his wife Catherine opened ‘The Christian Revival Society’ in the East End of London. They held meetings every evening and on Sundays to share the remorse that the Salvation can only be brought by accepting Jesus as Lord and the Savior to the needy and poorest people mostly alcoholics, prostitutes and criminals. The Christian Revival Society was renamed as The Christian Mission. Later the same became the East London Christian Mission. The mission went through many survival challenges. Catherine wrote that Booth came home at night with torn clothes and bloody bandages swathed his head due to the stricken stone. Most of the evening meetings attracted urchins to throw stones and fireworks through the window. The mission was one of the 500 charitable and religious group which was trying to help the needy and poor people in the East end of London. Booth and his group practiced what they preached and kept going with work such as “Food for the Million” shops also known as soup kitchens without worrying further about the hurdles they were facing. The Christian mission was founded by William Booth and Catherine Booth in 1865 which is a Protestant Christian Church and an international charitable organization. This organization was later known as The Salvation Army. This organization has a worldwide membership of 1.8 million people which consist of soldiers and officers also known as Salvationists. William and Catherin wanted to bring salvation to the hungry, destitute and poor by providing physical as well as spiritual needs. It is currently present in over 130 countries operating shelters for homeless, charity shops and disaster relief to developing countries. Initially founded as the East London Christian Mission in 1865, the mission was named as The Salvation Army from an incident in May 1878. When Bramwell Booth the eldest son of William heard his father mentioning “The Christian Mission Is a Volunteer Army”, he suggested to correct it as “The Christian Mission Is A Salvation Army”. The Salvation Army has its own flag and its own music. Booth became the General of the Salvation Army and his ministers were given the rank of Officers. Other members of the mission became the Soldiers. Even after many financial challenges, The Salvation Army persevered in its initial years. The operation was extended to other countries such as the United States, France, Sweden Switzerland, and British Empire countries like India, Australia, Canada, New Zealand. The Salvation Army Church also known as Salvation Army Corps is implemented as part of a community center. They are also known as temples or citadels. This is founded by the Salvation Army to encourage local people for teaching and providing spiritual guidance to the attendees. Salvation Army Church led by an officer who fulfills the role of a pastor. 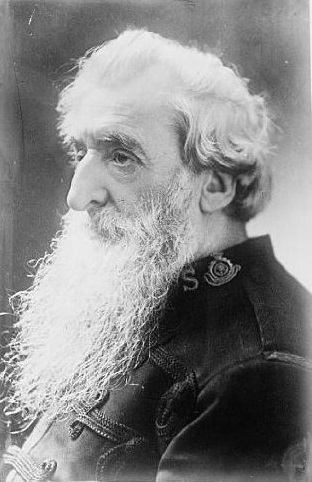 William Booth is famous for the establishment of the Salvation Army and one of the largest distributors of humanitarian aid to many parts of the world. Booth wrote many articles for the internal publications of the East London Evangelist which was renamed as The Christian Mission Magazine, The War Cry, All the World, The Salvationist and for the American and British Magazines. Booth’s published his first book How To Reach the Masses with Gospel was in 1872. William’s most important work is the book named “In Darkest England and the Way Out”. He wrote the book in 1890 with the assistance of famous journalist W.T.Stead. His other work includes Salvation Soldiery, Religion for Every Day and The Doctrines and Discipline of The Salvation Army. “Work as if everything depended upon work and pray as if everything depended upon prayer”. Booth believed that religion should have a strong social message without which it lacks its relevance. The first General of the Salvation Army implemented John Wesley’s famous words “The Gospel of Christ knows of no religion but social” in his evangelicalism. This helped Booth to develop numerous different social schemes aiming to improve the spiritual and material conditions of the marginalized people around the world. The couple’s action against poverty, homelessness, unemployment, and destitution stood prominently behind the modern welfare practice and guiding for more effective human welfare services and social care. During his last years, Booth achieved great fame and was respected widely in England and overseas. He was invited to open the US Senate in 1898. In 1904 King Edward VII invited Booth to Buckingham Place. He was granted an honorary doctorate by the University of Oxford. On August 20, 1912, Booth took his last breath at his home in Hadley Wood in London. The body lay in state at the Congress Hall. Bramwell Booth conducted his last funeral which attracted vast masses along the street and watching a procession of thousands of uniformed Salvationist and forty Salvation Army Bands.